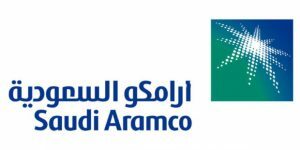 China has proposed to buy five per cent shares of Saudi Arabia’s Aramco, which is the world’s biggest oil company. China made the proposal weeks ago, and the country’s state-owned PetroChina and Sinopec, assisted by banks, are eager to buy Aramco’s shares, press reports said. The proposal came following expressed desire by Riyadh to sell five per cent of the company in a move to generate funds to boost the country economy as the kingdom embarks on the diversification of its economy to end dependency on oil. The listing of Aramco’s five per cent could generate around $100 billion. The state-owned company is valued at about $2 trillion. China is Saudi Arabia’s largest oil buyer. Analysts note that the sale of five per cent of Aramco to China will enable Saudi Arabia to take part in the investment of the Chinese refining industry. Saudi Arabia is interested to invest in China’s oil refinery of Yunnan, located in the Southwest of the country. The refining plant, which started operating in July, processes 260,000 barrels of oil a day (bpd). Aramco and the two Chinese companies have not said whether the deal is being discussed but it is reported that any move will take some time as there are hesitations in Riyadh to relinquish part of the country’s top company to foreigners. Sovereign wealth funds from South Korea and Japan were also interested in getting stakes in Aramco, reports say. Japan and South Korea are also key buyers of the Saudi oil. Posted by KanelkaTagba on Oct 17 2017. Filed under Energy, Gulf News, Headlines. You can follow any responses to this entry through the RSS 2.0. Both comments and pings are currently closed.